Keith Gerner heads Audio Visual Ministries in Ireland. Graduate of Oxford University in History with Honours, he was a professional teacher in Scripture and Latin. 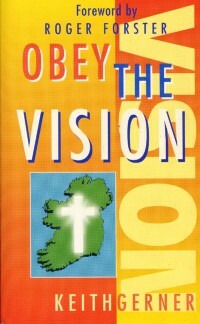 As a result of hearing that language spoken miraculously by somebody without classical education, in England, through the gift of tongues, he became one of the dozen involved in the Holy Spirit move in Ireland in the late 1960s, which affected the whole country with divine healing. This was followed by the setting up of a teaching ministry, which over the past 15 years has becme known and used in America, Australia and in Singapore. He has undertaken courses in Counselling and Church Growth and seen churches started in Ulster, despite the pressure of the ‘troubles’ over the last 25 years. He is marrifed to Elsie, who worked with Scripture Gift Mission, and they have three grown-up children, all going on with God. "I have known Keith Gerner for over 30 years, and would commend him as a man who walks consistently in his Christian calling and in his family likewise. He has ministered extensively in Ireland and in our own Icthus structures and has been well received for his Spirit-filled ministry. I recommend Keith to you as a man who will, sincerely and clearly, bring God's word and heart through his ministry to your people."